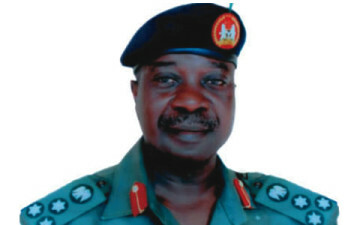 A retired general and former director at the Defence Headquarters, Brigadier-General Ayodele Ojo, has called on President Muhammadu Buhari to re-introduce “War Against Indiscipline,” a programme he launched as a military Head of State. “There is no better time than now to go after the people who have contributed, through corruption, to the rot in the country. We need to realise that four years is too short to make any meaningful impact in the war against corruption. “Buhari, therefore, needs to start now. He cannot afford to tarry or delay. I will like to go further by suggesting that the President should re-launch the War Against Indiscipline and corruption, which was aborted in 1985 (when he was overthrown in a military coup). “During the presidential campaign, President Muhammadu Buhari promised to fight corruption. He once said that if we don’t kill corruption, corruption will kill us. We must therefore not be under any illusion that the war against corruption is going to be easy. “For example, some of the roles they played in the last general elections are questionable. The problem, to me, has to do with the politicians who always attempt to drag the security forces into partisan politics. “The way out is for the security forces to resist the politicians, remain focussed and apolitical. The politicians must also leave the security forces alone to perform their constitutional roles devoid of external influence,” the former DHQ director added. During the implementation of WAI, the Buhari-led military regime had ordered Nigerians to form queues at bus stops, under the stern watchful eyes of horsewhip-wielding soldiers. During the period, civil servants were also punished for not being punctual at work, as those who arrived late for work were forced to do frog jumps. Asking adults to frog jump because they are late to work isn't for a civilized country like ours.